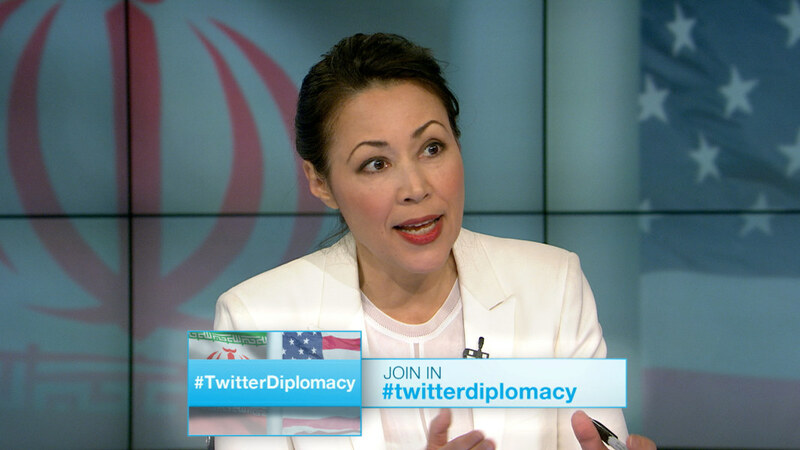 Setting aside years of open, bitter hostility, Ann Curry's unique digital documentary #TwitterDiplomacy explores how the first communication between an American and an Iranian president in 34 years came about to change the face of the Iranian nuclear talks. NBC News was granted exclusive, behind-the-scenes access on both ends of the deal with Secretary of State John Kerry and Iranian Foreign Minister Mohamamd Javad Zarif. And on Monday afternoon at 2 p.m. ET, you heard the story behind the story and got the chance to ask your own questions in a live interactive Q&A on the topic. Streamed live here on www.nbcnews.com and hosted by Ann Curry (@AnnCurry), the live Q&A also featured NBC News correspondent Ali Arouzi (@AliArouzi) in Tehran and noted author and journalist Hooman Majd (@Hmajd). The full Q&A will be available on-demand here later this afternoon if you missed it live.